The user experience is central to the future of video collaboration. This is widely true for any technology—no matter how innovative it is or how enticing its potential cost savings—tech fails if people do not use it. The future of video collaboration will focus on productivity, ease of use, and seamless operability, and our latest whitepaper, Workflow Design. Making Video Collaboration Easy, walks you through that and more. Here’s a snippet of what you’ll find inside. - Affordability. Because video collaboration tools are more economically viable, individuals are more likely to adopt them. Most people, in fact, already own the equipment they need, whether it is a desktop PC at home or the smartphone in their pocket. - Simplicity. If a system is too complex or confusing, no one will use it— regardless of how cutting-edge it is. Some modern collaboration tools run in a browser, and others are as simple as the apps in our smartphones. - Preference. Employees and clients are accustomed to technology, and this helps them accept new tools. However, the video platform you employ is up against some stiff competition. With this in mind, contemporary solutions focus on accessibility and experience to ensure users do not turn back to the dated methods they are used to. - Connectivity. When it comes to communication innovation, there is no room for delay. People are used to instant connectivity, and a positive user experience is all about meeting this expectation. 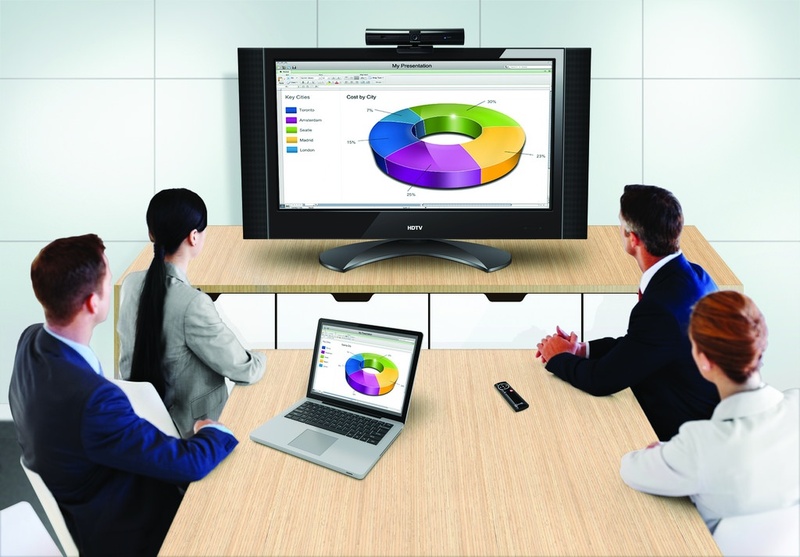 Video collaboration tools employ a variety of seamless connectivity options, including click-to-join and wireless solutions. Mobile technology on its own can lead to remarkable cost savings and increases in productivity. When combined with simple, effective video collaboration tools, the gains are even higher. Download our free white paper—Workflow Design. Making Video Collaboration Easy — for more information on the future of videoconferencing, what you can do to stay on top of this trend, and what this innovation could look like in your workplace.